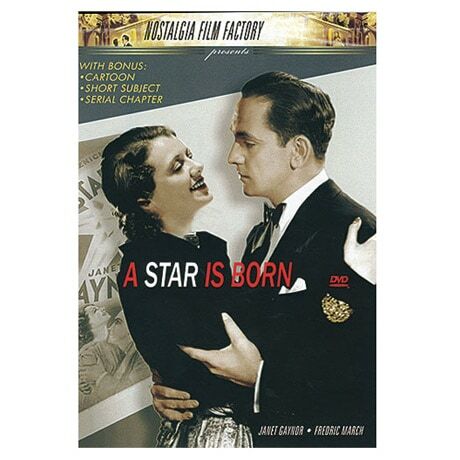 (Winner of an Academy Award/Best Original Story; Also Nominated for Best Picture, Actor, Actress, Director) Moving to Hollywood in hopes of hitting it big as an actress, North Dakota farm girl Esther Blodgett (Janet Gaynor) is soon daunted by her prospects, in this 1937 drama, later remade by Judy Garland and Barbra Streisand. Upon meeting the debonair Norman Maine (Fredric March)—an alcoholic actor in the twilight of his career—Esther finds love and finally gains some traction in the motion picture industry, taking the stage name Vicki Lester. With everything going her way, Vicki will nonetheless have to choose between stardom and a chance at married life with the deeply troubled Maine. William Wellman took home the Oscar for Best Original Story, but razor-sharp satirist Dorothy Parker also contributed to the script.